BetSpin Casino Review: Deposit and play! Earn extra spins! BetSpin Casino is a newly launched casino and is the Number 1 contender for Best NetEnt Casino…Ever!! 2015 Edition. With the now legendary and pace setter Guts Casino being a huge investor in BetSpin, you can definitely be sure to find the same great games and superior service at BetSpin Casino. BetSpin was established in February 2015 and is licensed by the Lotteries and Gambling Authority in Malta, as well as the UK Gambling Commission, and in Curacao. BetSpin Casino has Microgaming, NetEnt, and Genesis Games. BetSpin has a wide selection of the best branded casino games – the casino boasts a superb selection of games from the leading casino software developers in the online casino realm, such as: NetEnt, Thunderkick, Microgaming, NextGen, Genesis Games, Quickspin, and Play ‘n Go. BetSpin has a modern and sleek interface. They say that first impressions last, and we can definitely say this when we first visited BetSpin ourselves. The clean and simple layout helps players navigate the different sections of the casino. Whether you are looking for slots, featured games or the live casino, you can be assured that you will find it in a flash! There’s a BetSpin Market! Yay, I love free things! 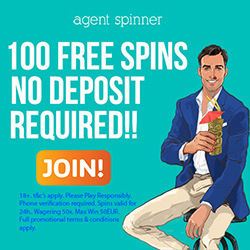 For every deposit that you make, you earn rewards in the form of extra spins at the BetSpin Market. Check to see if you’ve accumulated any extra spins! Please note that players must be 18 years or older to open a casino account at BetSpin. Full Terms and Conditions apply. Click here. BeGambleAware. The reload bonus wagering requirements is 35 times. For 150% (or above) bonuses have to be wagered 40 times, 200% (or above) bonuses have to be wagered 45 times. The minimum deposit is €20, 200Kr, £20 or $20. The following players are restricted from playing at BetSpin: United States of America (and its dependencies, military bases and territories including but not limited to American Samoa, Cyprus, Guam, Marshall Islands, Northern Mariana Islands, Puerto Rico, and Virgin Islands), Afghanistan, Algeria, Belgium, Bouvet Island, British Indian Ocean Territory, Bulgaria, Comoros, Czech Republic, Denmark, Ecuador, Estonia, Ethiopia, France, Greenland, Greece, Guam, Holy See (Vatican City State), Hong Kong, Hungary, India, Indonesia, Iran, Iraq, Ireland (sports betting prohibited), Israel, Italy, Jordan, Democratic People’s Republic of Korea, Kuwait, Libya, Malaysia, Montenegro, Myanmar, New Caledonia, Nigeria, Pakistan, State of Palestine, Philippines, Poland, Portugal, Romania, Singapore, Somalia, South Africa, South Georgia and the South Sandwich Islands, South Sudan, Slovenia, Spain, Sudan, Syria, The Faroe Islands, Turkey, Western Sahara, Yemen, or other restricted jurisdictions. All slot games count 100% towards the wagering requirement, except for these games: Jackpot6000, Bloodsuckers, and Mega Joker which all count 75%. These are the deposit options at BetSpin: Visa Electron, Euteller, Skrill, Neteller, MasterCard, Visa, Visa Debit, and Trustly. BetSpin Casino has the following withdrawal options: Skrill, Neteller, and Trustly. E-wallets take 24 hours to cash out. Visa Credit/Debit cards take 2 – 5 working days to cash out. Deposit using these currencies: EUR, GBP, USD, and SEK. Live chat options are available.